For off-site lodging, please see our Area Lodging page. 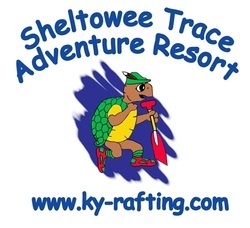 For other things to do in our area, please see our Area Attractions page. 1) Where can we go swimming and/or fishing? There is a public pool (charge) at Cumberland Falls State Park (5 miles down the road), as well as a public swimming beach (free) at Laurel Lake (about a 20 min drive). There is also a water park in Williamsburg (also about a 20 min drive). There is plenty of bank fishing both on the Cumberland River and at Laurel Lake. If you have a fishing boat, both bodies of water have boat ramps. In addition, you can fish on any of our single or multiple day canoe/kayak trips. 2) Is there a charge for children? There is no charge for children under the age of 2 in any of our lodging options. 3) Do you have a playground? 4) Can I get an early check-in/late check-out? 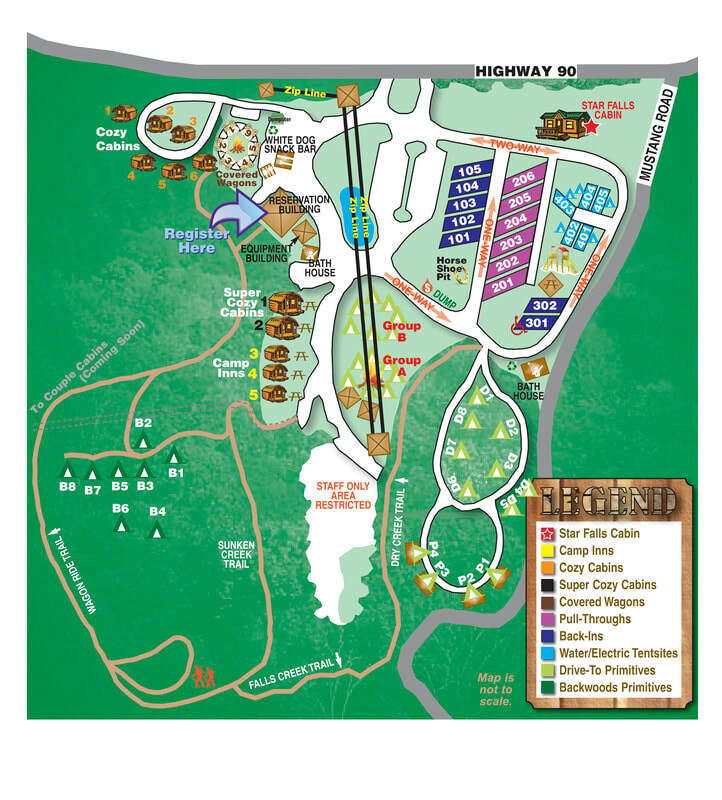 Site Map for Lodging options. Click for a larger image.